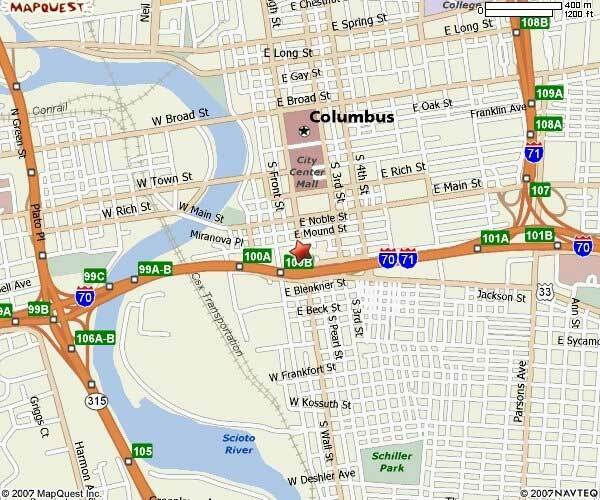 Over-head map of the area surrounding the Franklin County Court Complex. Entrance to the Commissioner's Parking Garage on Fulton Street. This picture was taken from the south side of Fulton with one way traffic moving east to west (right to left). 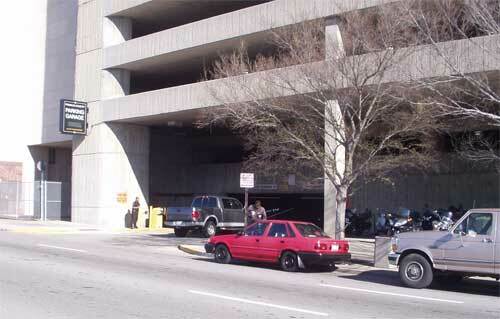 You may also enter the parking garage from the north side off of Mound Street. 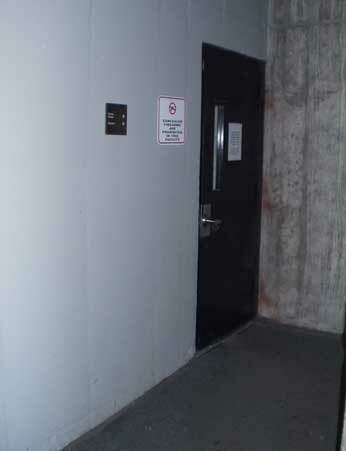 These are the elevators in the Commissioner's Parking Garage. Please take the elevators to the 9th floor. This is the entrance to the walkway over High Street This is located on the 9th floor of the Commissioner's Parking Garage. 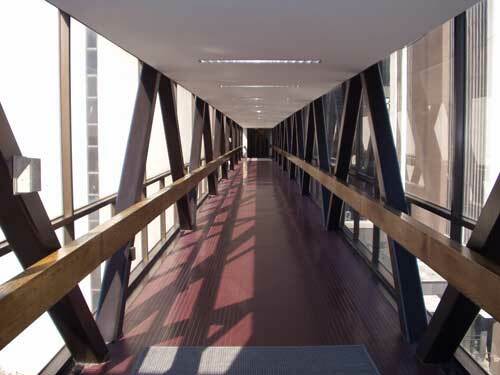 The walkway over High Street will take you from the 9th floor of the Commissioner's Parking Garage to the 6th floor of the Franklin County Municipal Court. This is the entrance to the Franklin County Municipal Court from the High Street walkway. 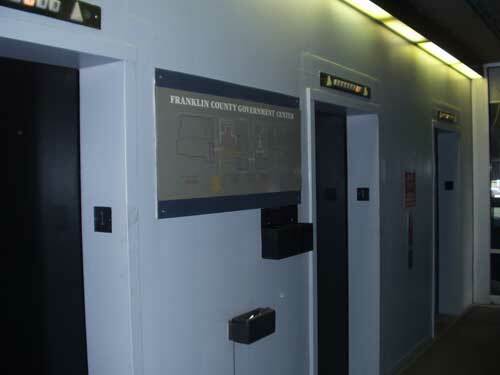 The Franklin County Municipal Court has a Security Station located on the 6th floor. You may review prohibited items here. 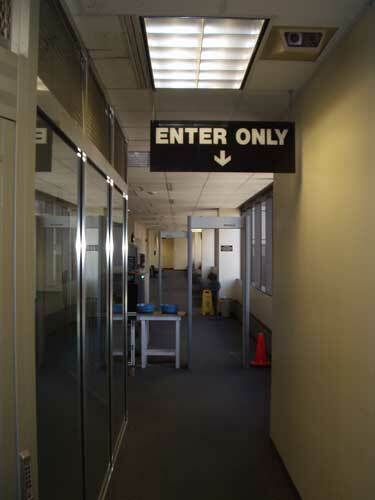 Once through the Security Station, turn to your left and walk around the Security Station. 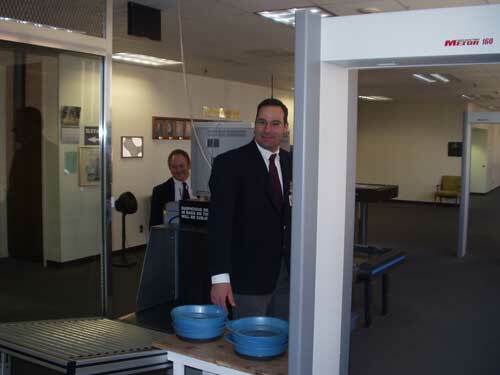 this will lead to you around the corner to the elevators. 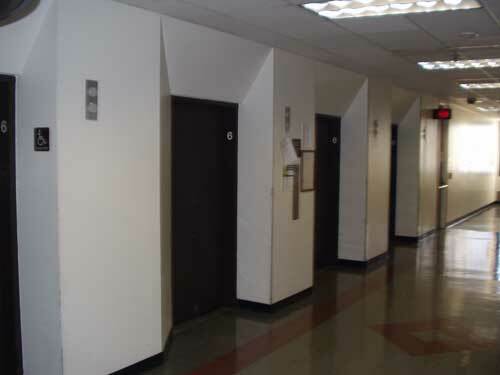 These are the elevators on the 6th floor in the Franklin County Municipal Court. 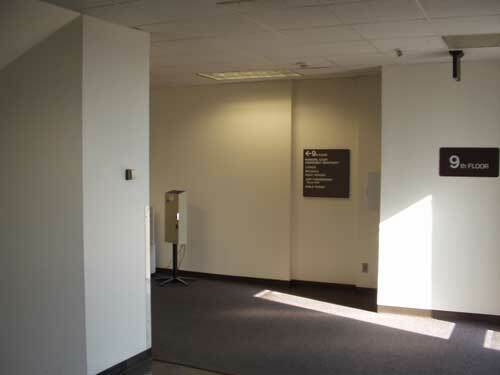 Take the elevators up to the 9th floor to go to the Jury Assembly Room. 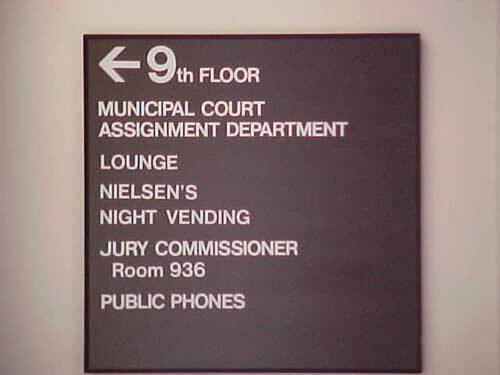 After exiting the elevator on the 9th floor, turn to your right and follow the signs to the Jury Commissioner. Close up of the sign on the 9th floor near the elevators. 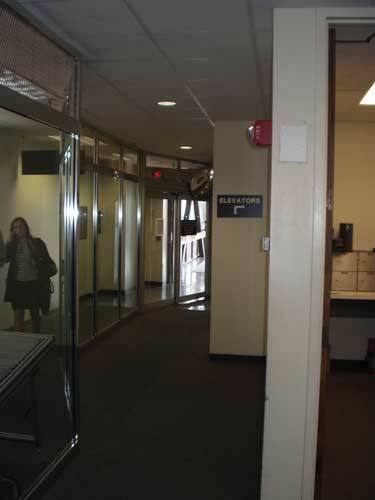 To get to the Jury Assembly Room, walk through the glass doorway. 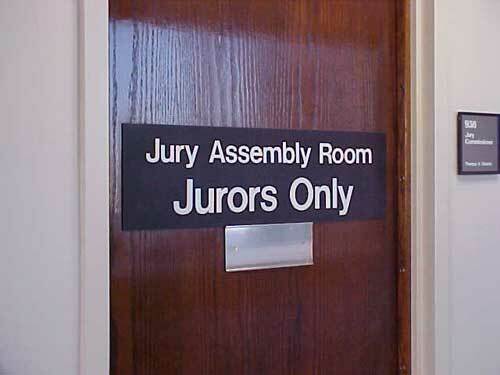 The entrance to the Jury Assembly Room will be on your left. 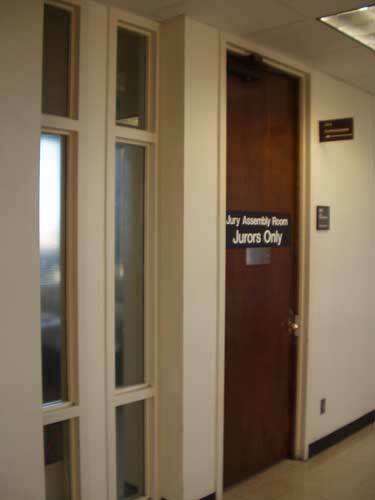 Close up of the sign on the entrance to the Jury Assembly Room. 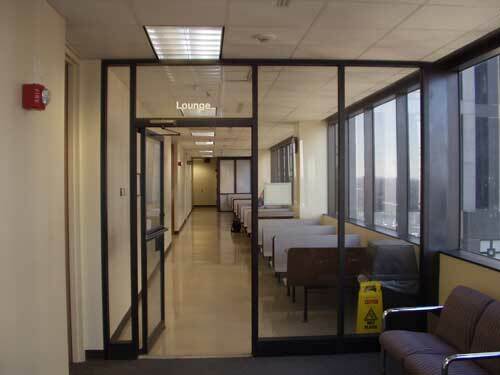 Looking over the Jury Assembly Room from the front entrance. 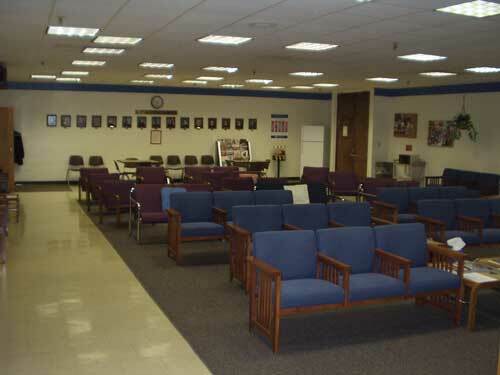 Within the Jury Assembly Room, to your immediate left is the office of Jury Commissioner Tom Shields and Deputy Commissioner Lori Shannon. 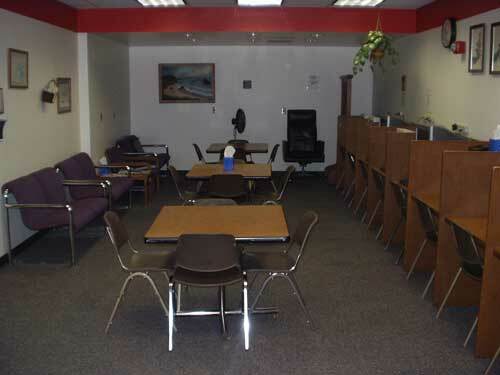 This is the back lounge within the Jury Assembly Room with 8 Windows 7 PCs with large screen monitors connected to high speed internet and a non-broadcasting secure wireless network for jurors only.